This is it!! I'm guessing many of you finished up yesterday, because you just didn't want to wait for a post to show you a hemming step. That's all we have for today! There are a couple options for your hems. Hem the sleeves and bottom edge of the garment with a 3/4" hem allowance. You can do this either by serging the bottom edge, then pressing up 3/4" toward the wrong side and topstitching, or by folding 1/4" toward the wrong side, then another 1/2" and topstitching. If you are sewing your Dakota out of knit fabric, be sure to check out our Hemming Tips for Knits post. 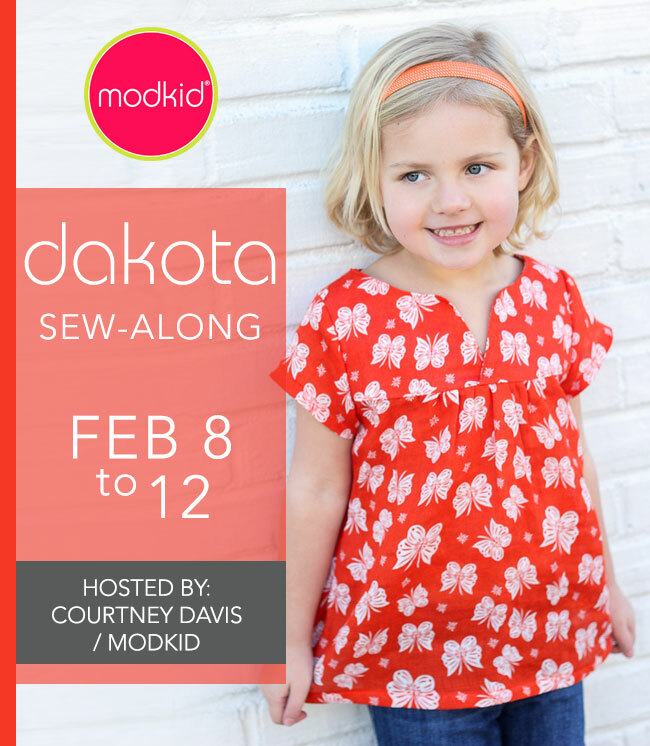 Be sure to add photos of your completed Dakota Top to our Facebook Group before the end of the day Monday, February 15th to be entered to win a prize. You can share photos on Facebook and Instagram with hashtag #dakotasewalong. We will post the winner next week!